The clinical syndrome of chronic heart failure (CHF) is the hallmark of progressive cardiac decompensation, one of the most common chronic medical conditions that affect around 2% of the adult population worldwide irrespective of ethnic and geographic origin (Anonymous). Apart from ischemic heart disease, hypertension, infection, and inflammation, several other etiologic factors account for irreparable and irreversible myocardial damage leading to heart failure (HF). Genetic and genomic factors are now increasingly identified as one of the leading underlying factors (Arab and Liu 2005). These factors may be related to pathogenic alterations (mutation or polymorphism) within specific cardiac genes, mutations in genes incorporating single or multiple molecular pathways (protein families) relevant to cardiac structure and/or function, genetic or genomic polymorphisms of uncertain significance (gene variants, single-nucleotide polymorphisms (SNPs), and copy number variations (CNVs)), and epigenetic or epigenomic changes that influence cardiac gene functions scattered across the human genome. Recent genetic and genomic studies in both systolic and diastolic ventricular dysfunction, the hallmark of CHF, have revealed a number of mutations in genes belonging to specific cardiac protein families. For example, around 200 mutations are now known to exist in around 15 genes coding for several different types of sarcomere proteins (Liew and Dzau 2004). The sarcomere protein family, alone, accounts for the bulk of inherited cardiomyopathies including hypertrophic cardiomyopathy (HCM), dilated cardiomyopathy (DCM), restrictive cardiomyopathy (RCM), and left ventricular (LV) non-compaction (LVNC). In addition, there are several other potentially relevant factors involving different genes and genome-level elements. This article presents a systematic account on the available factual information and interpretations based on genetic and genomic studies in CHF (Liew and Dzau 2004). Genomic and molecular approaches have opened the way for a renewed debate for taxonomy of CHF (Ashrafian and Watkins 2007). 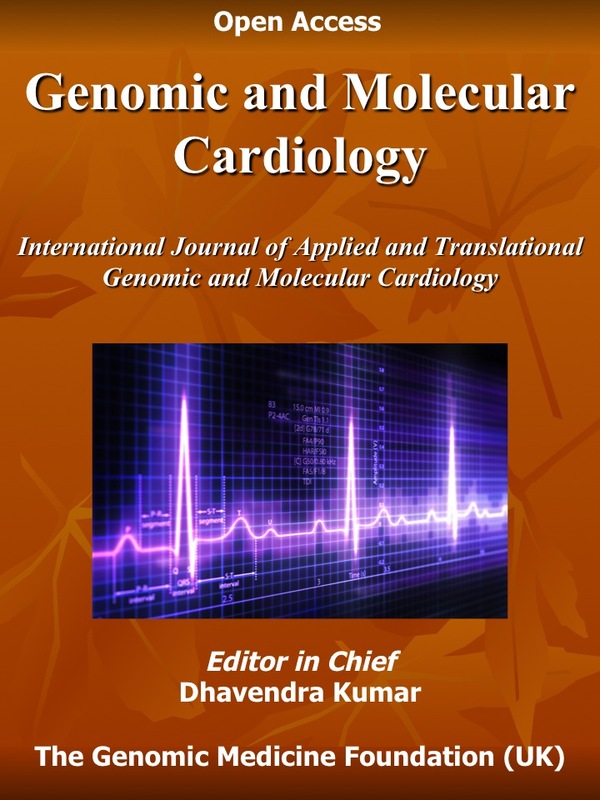 The review draws attention to the potential diagnostic and therapeutic implications of genomic and transcriptional profiling in HF and translational genomics research that is likely to permit greater personalization of prevention and treatment strategies to address the complexities of managing clinical HF (Creemers, Wilde et al. 2011). This entry was posted in Genomic & Molecular Medicine by Dhavendra Kumar. Bookmark the permalink.